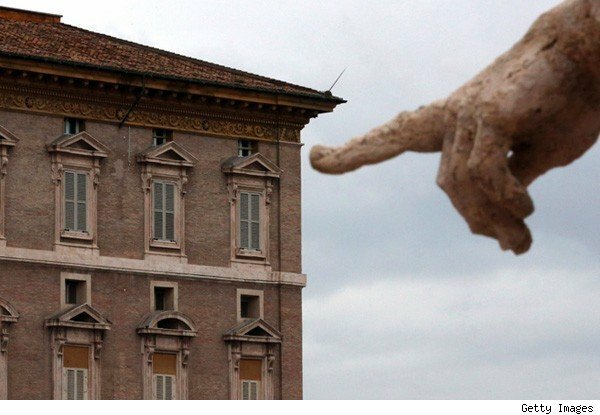 Cardinal Jorge Bergoglio of Buenos Aires, now Pope Francis, will soon have his own private apartment at the offical papal residence at Palazzo Apostolico (the Apostolic Palace, pictured above) in the Vatican. But his dwellings weren't always so high-profile. 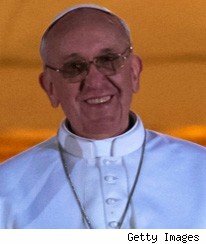 According to numerous reports, Pope Francis is a humble man of simple origins and tastes -- and this was reflected in the way he's lived until now. CNN reported that before being elected pope, Bergoglio (pictured at left) passed up the opportunity as Argentina's archbishop to live in the grand Archbishop's Palace in Buenos Aires -- the official residence. Instead, he chose to live in a "small room" in a downtown Buenos Aires apartment building, where he commuted by bus to the Metropolitan Cathedral. In this humble space, Cardinal Bergoglio even did his own cooking -- and the place was only heated by a small stove, said USA Today. Still, we have a feeling the new pope will settle into his new, higher-profile digs just fine. Meanwhile, his predecessor, Benedict XVI, is staying at the Apostolic Palace in Castel Gandolfo and will soon settle permanently at the convent of Mater Ecclesiae, which is still inside Vatican territory (see the video below).